10 Windows 10 problems and fixes. Windows 10 is probably Microsoft’s finest operating system to date, it currently runs on more than 700 million PCs, tablets and smartphones, which makes it one of the most popular operating systems (OS) in the world. Compared to its legacy counterparts, Windows 10 eradicates many of the issues of Windows 8 and those before it. Windows 10 combines the design tweaks of Windows 8, the first Windows version to star a completely redesigned user interface – albeit with some of the features from older Windows operating systems that were removed from the more recent Windows 8. As the most recent Microsoft-developed operating system in existence, Windows 10 should be the most stable available but with most Feature Updates, users who installed Windows 10 have been facing some problems too. Here are some of the issues that are being faced by users who installed this October 2018 Update. 1. Antivirus software with Windows 10? As with Windows 8, Windows 10 comes with antivirus software in the form of Windows Defender. Tightly woven into its host operating system, it’s updated regularly and monitors your PC in real-time, as well as giving you the option to run manual scans if you suspect something’s amiss. As out-of-the-box software goes, it’s usable, easy to navigate and stops a reasonable proportion of threats. With Microsoft aiming for Windows 10 to be installed on a billion PCs worldwide by 2017, the tempting target presented by the world’s most installed operating system isn’t getting any smaller – you’d be advised to take precautions beyond Microsoft’s own, flawed antivirus software. 2. Windows 10 using your 4G data? One of Windows 10’s biggest problems has been invisible internet use. Even before it was released, users spotted that Windows 7/8 PCs were automatically downloading Windows 10 in the background, to the chagrin of users with metered connections. This continues after Windows 10 is installed: background updates often weigh in at several hundred megabytes. That’s inconvenient on forgiving home broadband connections, but a potential disaster on mobile internet accounts. To stop Windows 10 sucking down data in the background, go to Settings, then Network & Internet. Choose Wi-Fi and then Advanced Options. Toggle “Set as metered connection” to on, and Windows will stop getting non-essential updates, as well as turning off some app updates and Start screen tiles. 3. How do you log in automatically in Windows 10? As Windows and Microsoft’s personal accounts whether you came to yours via Hotmail, Live, Outlook.com or Xbox, security becomes more important. If, when you installed Windows 10, you gave it your Microsoft account details, your PC will already hold plenty of data. That’s why, when you come to log in, you’re asked for your password each time. The solution is to go to Accounts in the Settings menu and choose Sign-in Options, then add a PIN number. These need to be at least four characters long. 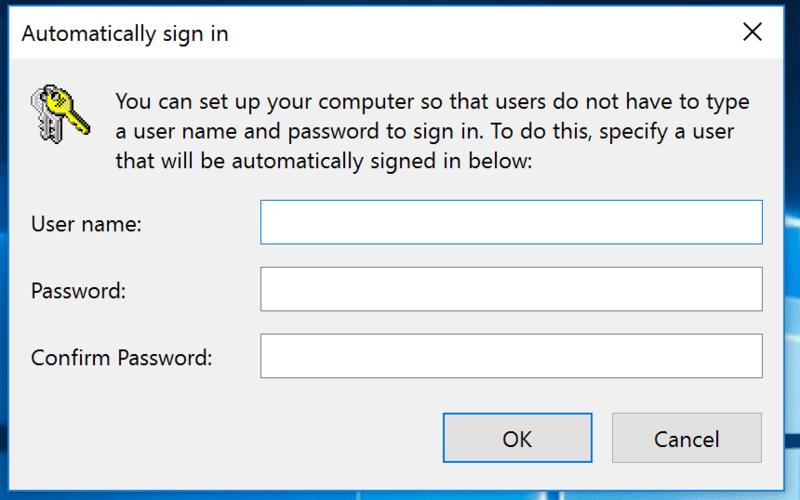 The lowest security option is to have your Windows 10 PC start without a password. Microsoft has buried the option to do this, but it is there. 4. 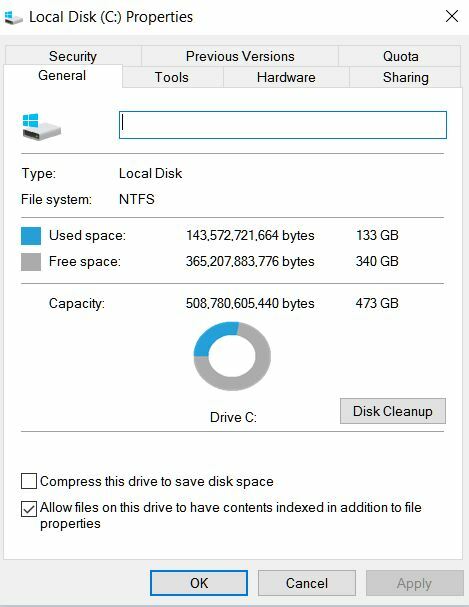 Where has all your Windows 10 disk space gone? If you’ve upgraded to Windows 10 from a previous version of Windows, a handy thing has happened in the background. In the event you decide that Windows 10 isn’t for you or you find that a critical piece of hardware is no longer supported , you can roll your PC back to its previous state thanks to a folder called Windows.old, which contains your old Windows installation. The bad news is that this folder can be enormous, over 15GB is common, which can impinge on other things you want to do with your PC. Further bad news is that Windows considers Windows.old a system folder, and therefore prevents you from simply dragging it to the Recycle Bin. To clear it, type “clean up” into the search bar and choose the top option. Click on “Clean up system files” and, after a wait while Windows searches through the system drive, you may see a “Previous Windows installation(s) option. Select it, press OK, and space is your new friend. Always remember not to rush the process when carrying out these fixes so as to avoid mistakes and if you know this article has been helpful, feel free to share.